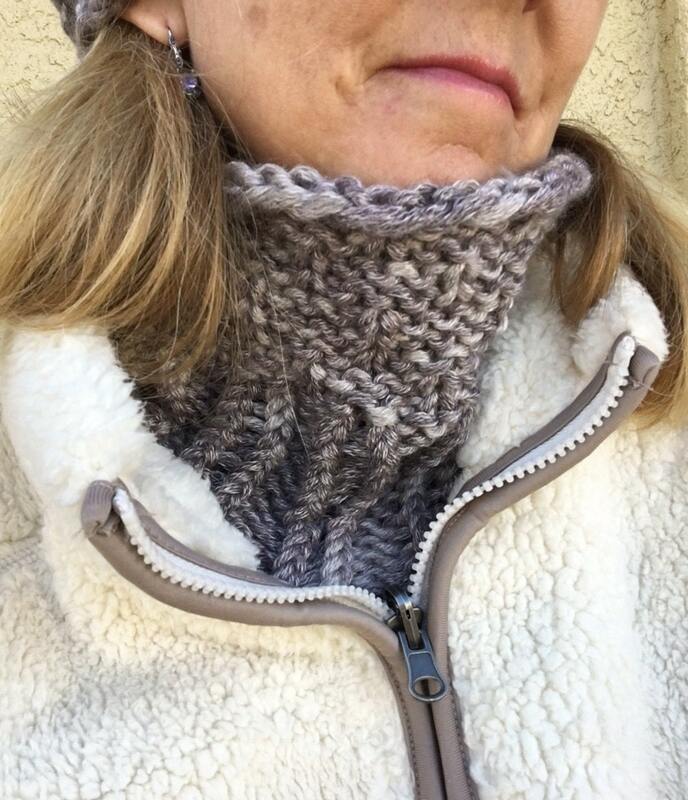 Knit this chunky cowl in an evening and be ready for winter’s bite! 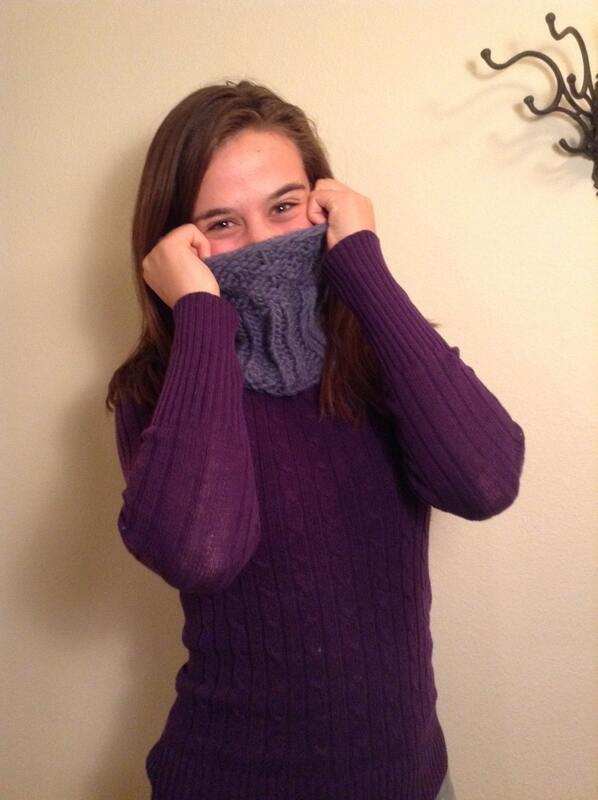 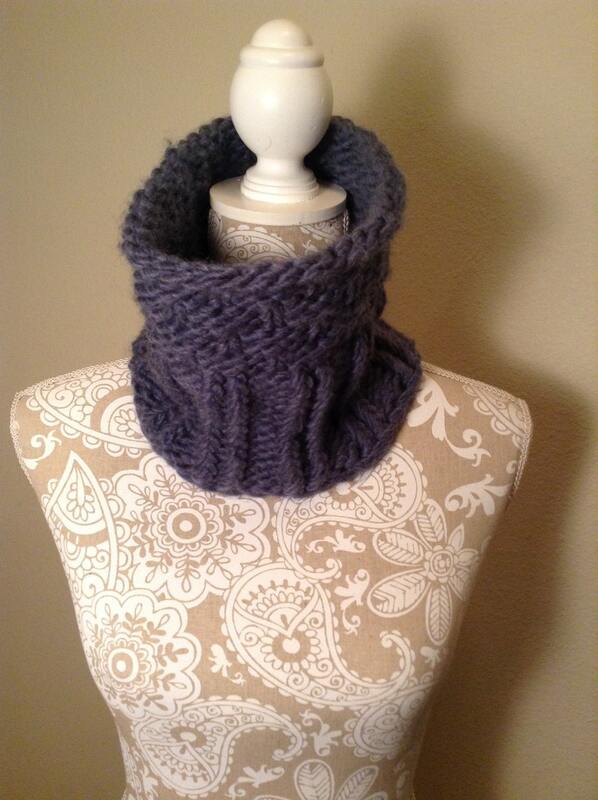 This easy cowl is knit on a 3/4” gauge yellow Knifty Knitter loom and uses 120 yards of a bulky yarn. 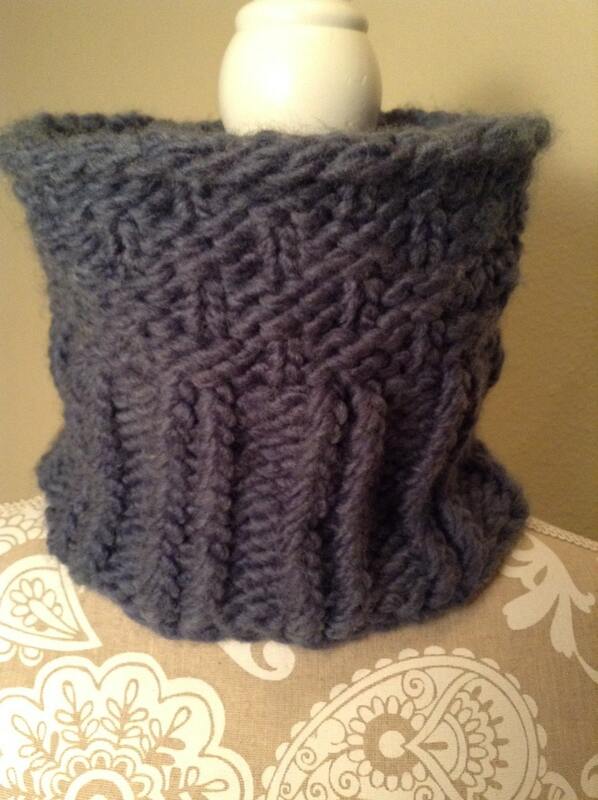 For warmth, I used a Bernat Roving yarn as it is a wool/acrylic blend. 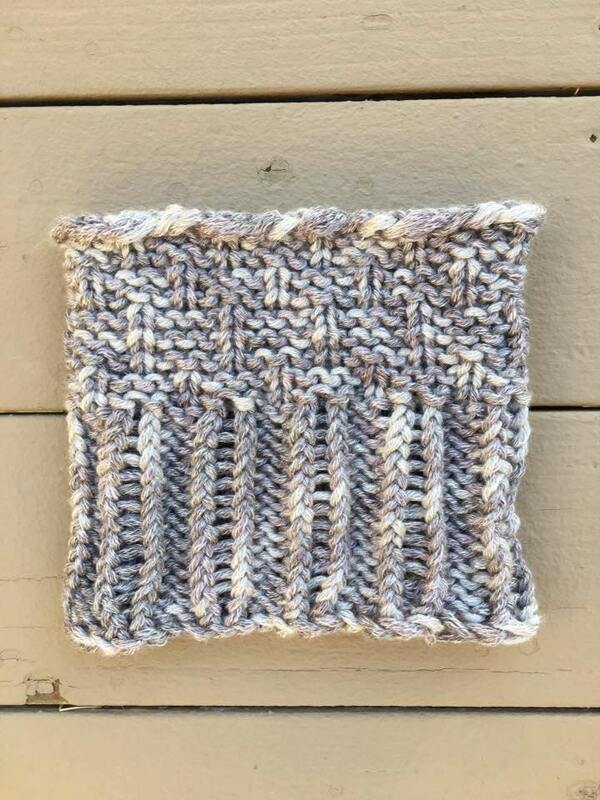 If you have mastered the e-wrap knit, the u-knit, and the purl stitches, you have mastered all you’ll need to know to make yourself this cowl.